LOS ANGELES—Feb. 6, 2019—The official trailer premieres today for SUNRISE IN HEAVEN, based on Jan Hurst’s inspiring true story of a family meeting life’s toughest challenge and finding their way through love, faith and resilience. From Nasser Group Inc. and Cinedigm, SUNRISE IN HEAVEN launches April 9 on DVD, Digital and On Demand. 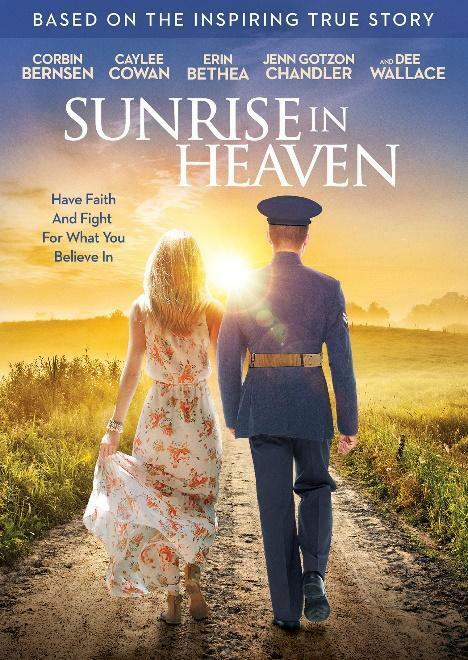 SUNRISE IN HEAVEN features Corbin Bernsen (MAJOR LEAGUE, MY DADDY IS IN HEAVEN), Caylee Cowan, Travis Burns (Neighbors), Jenn Gotzon Chandler (GOD’S COUNTRY, GOD’S NOT DEAD 2), Dee Wallace (E.T. THE EXTRA-TERRESTRIAL) and Erin Bethea (FIREPROOF, THIS IS OUR TIME). SUNRISE IN HEAVEN was written by Dan Benamor. The film is produced by Dureyshevar, Nat Mundel, Jack Nasser, Jacob Nasser & Joseph Nasser. SUNRISE IN HEAVEN is based on Hurst’s novel His Sunrise My Sunset, inspired by her true story. Through the book she shares a message of love and the strength that faith can provide. SUNRISE IN HEAVEN will be available through Walmart, Amazon, Lifeway, iTunes, Google Play, VUDU and On Demand via local cable providers. The Nasser brothers—Joseph and Jack Nasser—have produced high-quality films for more than 25 years including over a dozen Christian films and over 90 movies across all genres. The Nasser brothers have worked with top actors, writers and directors, including Oscar→ winners Sidney Poitier and Faye Dunaway, Peter Strauss, Mary McDonald, among others. Actors like Seth Rogen, Steve Austin, Bruce Willis, Danny Glover, Tom Berenger and Donald Sutherland have appeared in Nasser films as well. Their Christian films include WHAT WOULD JESUS DO? Parts 1, 2 and 3, GOD’S CLUB and A MILE IN HIS SHOES. Secular films include WHAT GOES UP, THE WHOLE TEN YARDS and FINAL GIRL. Their film STAGECOACH: THE TEXAS JACK STORY won Best Motion Picture at the Canadian Diversity Awards.